With increased digitization, the fabric of enterprise data is changing rapidly. 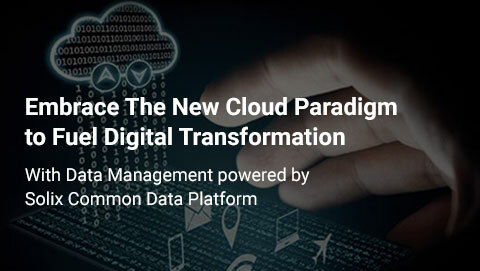 It now includes structured data from enterprise ERP and CRM applications and a large volume of unstructured data such as emails, documents, rich media files, IoT streams, social media, and instant messages. While this massive growth in data is helpful for data-driven organizations, when left unchecked, it can diminish application performance, increase maintenance costs and make compliance with regulations governing data retention and privacy much more difficult. Additionally, organizations are modernizing their IT rapidly leaving many legacy applications behind. These legacy applications add to the cost and compliance challenges. 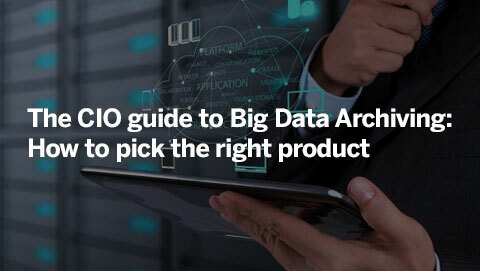 To cope with the conflicting demands for access to historic data, compliance, and the need to improve operational efficiencies, a new enterprise blueprint must be adopted. The answer lies in Solix Enterprise Archiving which delivers a unified ILM framework to archive and retire all inactive enterprise data — structured and unstructured — to optimize application performance, reduce cost and achieve compliance goals while preserving universal access to archived data for business reporting and advanced analytics. Solix’s ILM framework provides comprehensive data governance features including legal hold, retention management, eDiscovery, and auditing. Solix Enterprise Archiving enables organizations to bridge the gap between operational efficiencies, business intelligence and compliance. Solix provides a single, scalable, compliant archive for all inactive enterprise data (Structured and Unstructured) and legacy applications. This eliminates the need to deal with multiple archiving applications and provides greater control on data to organizations while reducing costs, improving performance of production applications and meeting compliance objectives. Retention management holds the archived data for a given period of time, and purges the data automatically, or manually, when the data retention policy meets its criteria. The policy-based retention helps organizations comply with the complex regulations governing data retention and minimizes risks of accidental data deletion from the archive. For legacy applications that are built on proprietary databases with no JDBC support, organizations can use the print report archiving feature to capture business reports in .pdf formats. Organizations can also use this feature for all legacy applications as it helps access regularly used reports without having to rebuild them from retired data. EBR is a denormalized, point-in-time snapshot of a business transaction, which may include structured, semi-structured, or unstructured data elements (invoice, customer data, spreadsheet, documents, etc.) EBRs support both the regulatory and analytic use cases by providing a quick and well-structured access to complete transactional data. EBRs can be text searched or queried. Also available for authorized third-party applications through APIs. With comprehensive ingestion capabilities such as COPY, MOVE, CATCHUP, and PRINT Stream with built-in data validation ensures archiving of data and legacy applications is efficient and error proof. The support for many popular ERP applications, file shares, email systems and databases helps greatly in accelerating archiving and application decommission. Role-based access to archived data and retired applications is enabled through the Solix Data Access Portal. Users can quickly search for data using forms and queries, build reports and export them as needed. Additionally, the Solix View Builder helps create application context preserving ‘business views’ of data migrated from retired/decommissioned applications helping easily replicate reports. 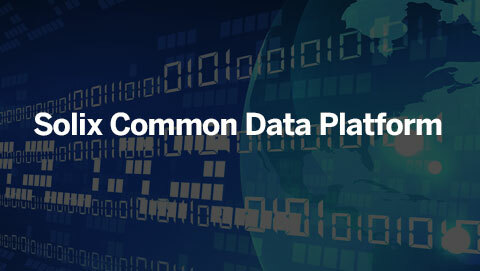 Data is aldo made available to third party BI tools using well governed permission based APIs. Quickly identify otherwise difficult to find PII, PCI, PHI and other sensitive data across the archived data and secure it using encryption or format preserving data masking. This ensures critical data is secured even in archive and efficiently meets the compliance and data privacy regulations such as GDPR. 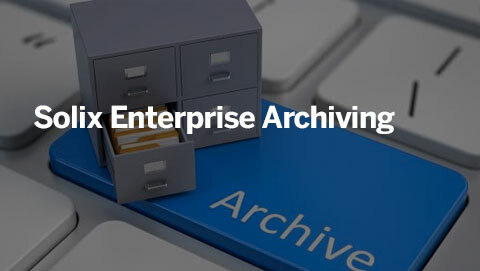 Enterprise Archiving with Solix enables us to manage all of our data based on an enterprise blueprint with business rules for compliance and retention. From there we are able to mine our enterprise data for business value with analytics tools at the lowest possible cost. CIO ABC Supply Co., Inc.